Pura Vida. The Pure Life. A luxury unlike any other. You’ll feel it as soon as you arrive. Costa Rica is a place of great natural beauty and home to the happiest people on the planet. El Mangroove’s enviable location in the northwestern region of Guanacaste at the tip of the seven-mile Gulf of Papagayo, with sweeping views of the Pacific Ocean and Culebra Bay, places you close to National Parks, natural wonders, and ocean adventures. This poetic ease and adventurous thrill of the pura vida lifestyle can be yours. As an owner of one of the world’s most unique private residences within the elegantly particular, boutique resort of El Mangroove, you’ll experience Costa Rica not as a visitor, but as someone who belongs. Welcome home to Papagayo. A land where the living is easy. The golden beaches and serene surroundings of El Mangroove are a world of their own, but not a world away – the country’s closest beach resort to an international airport means just 20 minutes from touchdown to sand. 20 minutes from arrival to home. Quiet luxury and unmatched hospitality are the hallmarks of El Mangroove. Pair that with the natural wonders and ocean adventures right from your back yard and you’ll realize that owning your own Private Residence here is the key to a permanent sense of pura vida. Your opportunity to embrace the inspired. El Mangroove is unveiling an unparalleled opportunity to live the same barefoot luxury lifestyle offered at its 85-key hotel and world-class amenities. 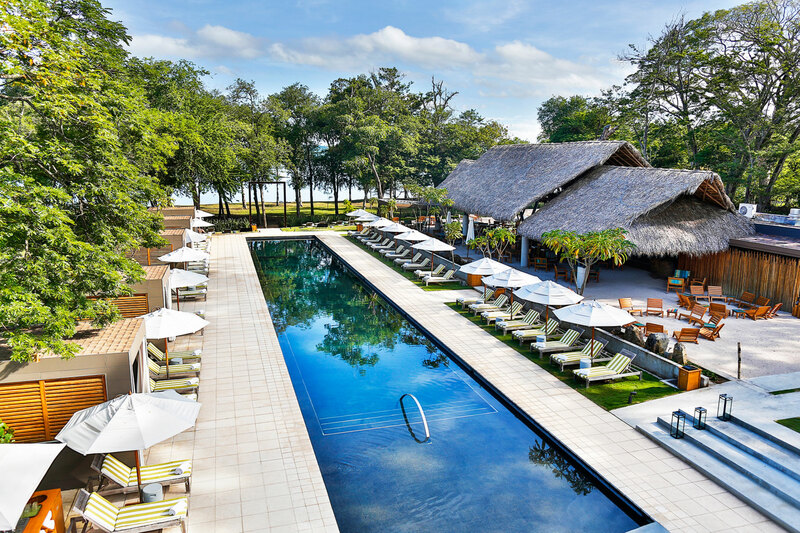 El Mangroove Autograph Collection® Residences, the vision of award-winning Latin American architect, Ronald Zürcher, have been thoughtfully designed to preserve and live in harmony amongst the property’s decades-old Cenisaro and Guanacaste trees. Each residence features a contemporary feel that is both cutting edge and seamless with the natural surroundings. Driven by the knowledge and vision to go beyond the commonplace, Autograph Collection® Residences complement a portfolio of the world’s most unique boutique hotels and offer homes with a lifestyle that is exactly like nothing else. El Mangroove Residences are among the first privately-owned, branded Autograph Collection® Residences in the world, making it a truly unique opportunity. Inspired by nature. Designed with you in mind. Inspired by the native flora and fauna, every one-, two- and three-bedroom Autograph Collection® Residence features a contemporary feel that is both cutting edge and seamless with the natural surroundings. Designs are equally stunning and functional with living spaces created for comfort, and lock-off options that provide flexibility for owners and maximum rental potential through the resort. Staying true to El Mangroove’s connection to local and natural inspirations, each residence is appointed with the highest quality locally-sourced finishes and custom furniture, elegantly crafted by Costa Rican hands. Complete the form above to request an eBrochure. We’ll keep you informed about opportunities for ownership, preview visits to El Mangroove and other adventures on the Gulf of Papagayo, Costa Rica. To contact us immediately, please call + 1 800 303 5492. El Mangroove Residences are not owned, developed or sold by Autograph Collection Hotels or its affiliates (“Marriott”). Enjoy Hotels & Resorts S.A. uses Autograph Collection Residences under a license from Marriott, which has not confirmed the accuracy of any of the statements or representations made herein. All of the services, amenities, benefits and discounts made available to residential owners at The Residences at El Mangroove Hotel are as currently scheduled and are subject to change, replacement, modification or discontinuance. Fees may apply. This is not an offering of property in any jurisdiction where prior registration is required unless Developer has met such requirements.